In the age of high competition and the need to get things right the first time, your business success depends on clear and persuasive communication. This can mean the difference between engaging your target audience and losing them forever. A successful business will separate itself from competitors and gain a clear market share. Our professional editors and proofreaders will provide you with expert knowledge and assistance to guarantee that your business document will convey the message that you really want to communicate. A quick turnaround and professional proofreading service make good business sense. Here at Supaproofread we can help you build your business, show you how to avoid mistakes and ensure that your company literature is flawless, whether you're dealing with a hundred customers a day or ten thousand! This increases precision, ensures consistency and produces a flawless document. We bring a fresh pair of eyes; our professional business editors are new to your document. 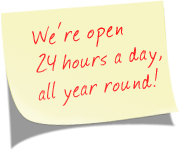 We are available at a moment's notice so there is no need to search around the office or through your contacts – we're always here. We will never disclose your details to anyone other than our professional business editors who all sign non-disclosure agreements. Your corporate security and personal privacy are protected throughout every step of the process. Our proofreading and editing prices are reasonable and fair and we can handle any volume. Your house-style is preserved in every one of your documents. We can even provide you with dedicated professional proofreaders and editors who will always work with you on your documents. We work to well known standards. This ensures your business documents are clear, concise and accurately edited. 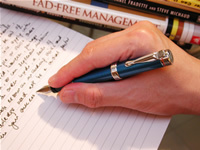 Many people find it difficult to express their ideas fluently in writing. If you're not happy with the style of your own writing or that of your employees, we can help. In addition to proofreading your documents, a Supaproofread professional business editor can also make suggestions and revisions to help you improve the content and readability. Regardless of the type of document, you can be sure your business document will receive an expert editorial review. An editor will review the consistency, style and tone of the document to ensure continuity. We can help you convey your intended message and ensure your document presents a professional image. This leaves your valued customers with a good positive lasting impression. Many spelling and grammar programs fail to pick up the incorrect usage of words. For example, an electronic tool may not realise that the word were should actually be where. All of our professional proofreaders have many years of experience dealing with various types of documents.